Summary – The need for getting good data is widely understood. Bad numbers lead to bad decisions leading to bad business. The trick is not only getting the right data but being able to interpret that data in ways which help make good decisions. This book will be extremely helpful for anyone wanting to know what the numbers mean and how to more effectively analyze reports. Plotting trends, discovering relationships and knowing when to track the median instead of the mean may be all that is required in making a strategically good move and avoiding a critical blunder. This book maintains a clear direction while at the same time avoiding the temptation of losing the reader in unnecessary mathematical adventures. The formulas and concepts make sense and directly support the author’s argument. Business Takeaway – Today there are few, if any management disciplines which do not require a basic understanding of math and how to collect and interpret data. How can today’s manager request data if he/she is not even sure what they are looking for, or where to look? This book offers a solid foundation in understanding what data may be useful for certain circumstances and how to understand and analyze that data. This book may require some effort to read, but the reward of knowing its content is vitally important in managing business. 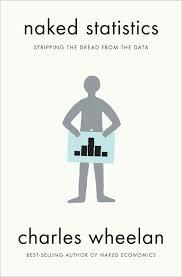 Personal Takeaway – This book helped take the mystery out of the concepts behind good data interpretation. This book is available at Audible. This entry was posted in Good Books & Papers and tagged book review, critical numbers, Larry Lawhead, project management, statistics. Bookmark the permalink.